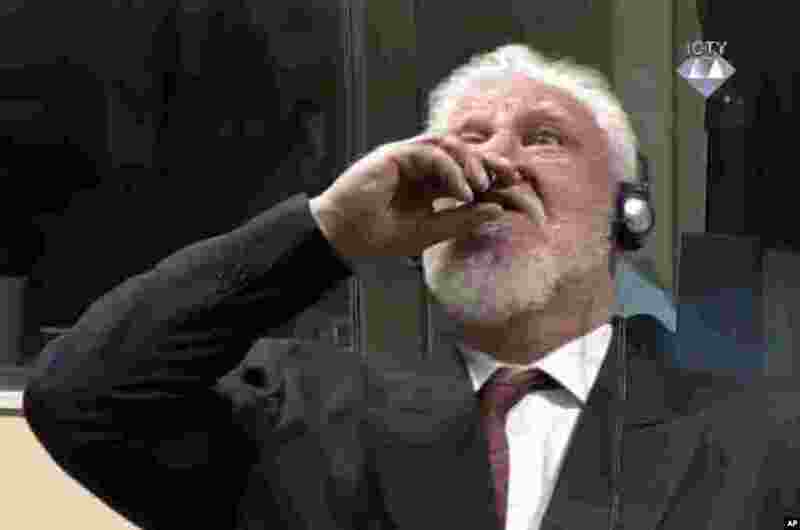 1 In this photo provided by the ICTY, former Bosnian Croat military commander Slobodan Praljak (C) appeared to dring poison seconds during a Yugoslav War Crimes Tribunal in The Hague, Netherlands, after judges upheld his 20-year prison sentence for involvement in a campaign to drive Muslims out of a would-be Bosnian Croat ministate in Bosnia in the early 1990s. 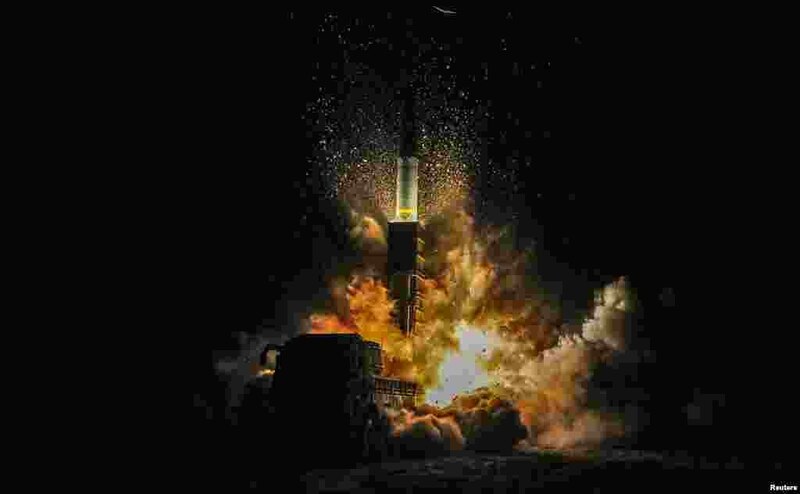 2 South Korea's Hyunmoo II missile is fired during an exercise at an undefined location in the east coast of the country. 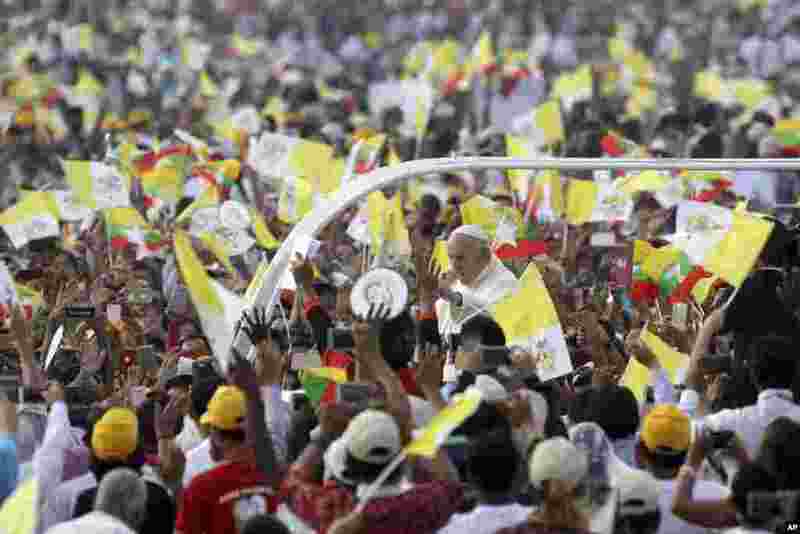 3 Pope Francis arrives to celebrate a Mass in the Kyaikkasan Ground in Yangon, Myanmar. 4 Co-anchors Hoda Kotb, left, and Savannah Guthrie embrace on the set of the "Today" show in New York, after NBC News fired host Matt Lauer. NBC News announced that Lauer was fired for "inappropriate sexual behavior."